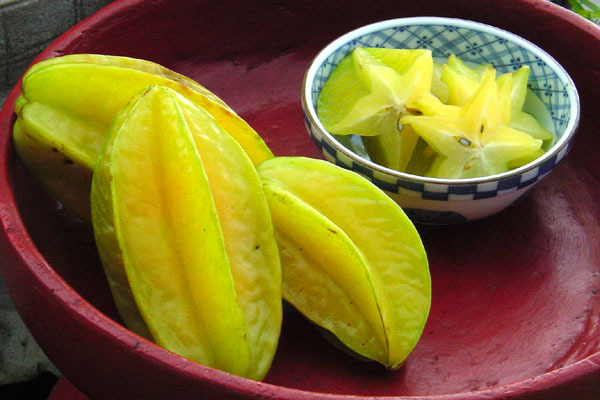 Star Fruit is a tropical fruit that is eaten for its delicious taste and medicinal properties. It is bright yellow in color with light greenish tinges in parts. Where Has Star Fruit Originated? Where Does Star Fruit Grow? Can You Eat Star Fruit During Pregnancy? Does Star Fruit Need To Be Refrigerated? How Is Star Fruit Harvested? Is Star Fruit Bad For Kidneys? The Star fruit botanical name is “Averrhoa Carambola”. When cut from the middle, a slice of star fruit looks like a star. When seen from either front or back, it is seen to have five points similar to a pentacle. This gives the fruit its unique name. 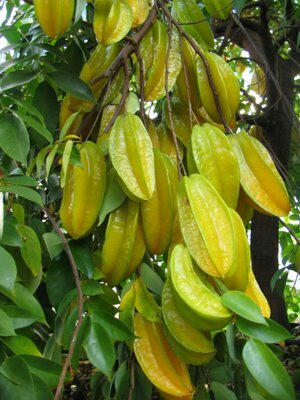 The Star Fruit tree is supposed to have originated in Indonesia, Sri Lanka or Moluccas. Star Fruit is indigenous to Philippines, India, Sri Lanka and Indonesia. It is also found in South Pacific region, areas of East Asia and all over South East Asia. Star fruit cultivation is done in Colombia, Costa Rica, Ecuador, Peru, Brazil, Guyana and the Dominican Republic in the West Indies. Star Fruit has a slightly acidic flavor that is similar to that of lemons, pineapples and plums. It is usually sweet in taste with a hint of pungent flavor. In English, it is generally known as Star Fruit or Carambola. 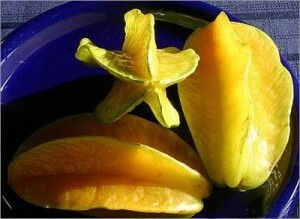 Star fruit color is generally yellow with a tinge of brown. Star fruit is a tropical fruit that is eaten raw as a vegetable. It is also used in salad. When fully ripe, it may be used as a dessert. 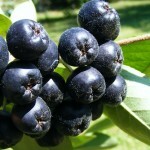 The fruit also has some medicinal properties and it is used as a natural cure for several ailments. Star Fruit Usage also involves using the acidic extract in it to polish and clean metals like brass. The fruit acid helps dissolve rust and tarnish. The fruit and its juice can also be used for dyeing and bleaching. The wood of this tree can be used to construct furniture. It is traditionally believed that gently scrubbing face with Star fruit juice can help remove pimples and help maintain a clean, smooth complexion. Washing hair with this juice can remove dandruff and dirt. Pure juice of this fruit is said to have antibacterial properties. It combats Staphylococcus bacteria that results in ailments like skin problems and indigestion. Star fruit can even rid skin of fungus and fungal infection. It has powerful antifungal properties. The powdered seeds of this fruit can also be used as a sedative to cure cases of colic and asthma. In people regularly consuming Star Fruit blood pressure can get lowered naturally. It can also reduce the effects of certain types of processed foods the consumption of which can cause high blood pressure. There is 155 mcg of Vitamin A and 25 mg of Vitamin C in every 100 gm of edible part of Star fruit. High doses of Vitamin C can also help prevent cure flu and colds in people who have this fruit. It is a rich source of Vitamin A. It also has B-vitamins like Riboflavin and Thiamine. A Star Fruit weighing about 124 gms contain approximately 38 calories. 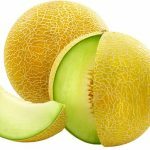 The fruit also has high water content (about 92 percent) and other important nutrients which makes it an appropriate food for those who suffer from dehydration and poor nutrition. It has essential minerals like Iron and Calcium. The fruit also contains fat, protein and carbohydrates. The low calorie content and presence of high fiber makes Carambola a natural favorite for body builders and people who are health conscious. 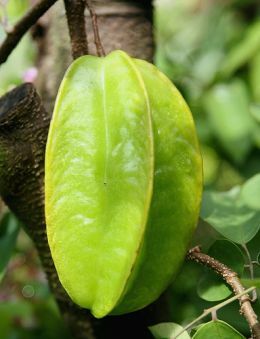 An extract from the roots and leaves of Star Fruit plant can help treat chickenpox and headaches. Some tribes tie Star fruit leaves to temples of people suffering from headaches to bring relief. The fruit also reduces cholesterol levels and cures hangovers. Regular consumption of this fruit can add moisture and mass to stools. It is also considered to be an effective treatment for sore eyes. 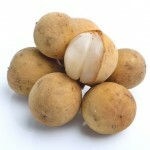 The fruit is also given to nursing mothers. Star fruit is customarily supposed to stimulate the flow of breast milk. Star fruit benefits health due to its high nutrition value. Go through this Star fruit nutrition information to know why this fruit is considered highly beneficial for health. Star fruit can safely be eaten during pregnancy. As aforesaid, this fruit has high nutritional benefits and has tremendous health value. It contains diverse ingredients that can reduce hypertension and lower cholesterol and blood pressure. It can also prevent cardiovascular diseases and Atherosclerosis. The fruit is usually harvested during June, July and August. However, it is sometimes harvested all through the year. 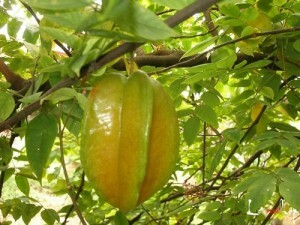 In perfect weather and soil conditions, one Carambola tree can produce anywhere from 90 to 180 kg of fruits every year. For a proper growth of Star fruit climate should be tropical or sub-tropical. It is a slow growing variety and generally takes a long time to mature completely. Mature Carambola trees can withstand freezing temperatures for brief duration and can survive well in regions with altitude of 4,000 feet above sea level. The Australian variety of this fruit grows best in areas that receives a yearly rainfall of 180 cm or greater. The fruit grows best in rich loamy soil. It also grows well in heavy clay, limestone and sand. It needs well-drained soil but is damaged by standing water. The fruit also needs a place that is well-lit by sunlight. Botanists hold that the trees should be spaced at a distance of 20 feet. Extremely dry places require adequate watering to grow well. There are two main varieties of this fruit. One is smaller and has a rich flavor. It is a little sour in taste and contains more Oxalic acid. The other variety is larger and is sweeter to the taste buds. It has a mild flavor and has less oxalic acid. Ripe star fruits can be stored unwashed for 2-3 days at room temperature. Storing the fruit longer than this period, especially in very hot climatic conditions, requires refrigeration. Star fruits kept in plastic bags and kept in refrigerators can last for approximately a week. Star fruit is usually harvested by shaking the tree and picking the fruits that fall from it. You can place a sheet or a few papers to avoid damaging or bruising the fruits from the fall. People affected with kidney problems should stay away from Star fruits. The fruit is rich in oxalic acid. Due to regular consumption of Star Fruit Oxalic Acid accumulation in the kidneys can occur. Immediate dialysis is often the only way out to treat this complication, which is known as “Star Fruit Intoxication”. People with healthy kidneys do not have this condition. Star fruit consumption can be very dangerous for people with impaired kidneys. This can lead to the development of symptoms like vomiting, insomnia, nausea, convulsions, continuous hiccups and agitation. Any or all of these symptoms may arise within five hours of having this fruit or even half a glass of its juice. Because of consumption of star fruit kidney failure may also occur in acute cases. In such cases Star Fruit kills patients often. There is no actual Star Fruit growing season as such. These fruits are non-seasonal as seen in most countries. They usually give crops 3-5 times every year. But this tree is mainly harvested during June, July and August. Star fruits are non-toxic. However, they may turn poisonous for people suffering from kidney diseases. It contains a substance known as Neurotoxin which has an impact on the nerves and the brain. In kidney patients having Star Fruits neurotoxin can lead to very bad symptoms. The kidneys in healthy people can filter out the Neurotoxin. An impaired kidney fails to do so and consequently, makes people suffer from “Star Fruit Intoxication”. It is one of the major Star Fruit risks. Star fruit juice has many benefits. 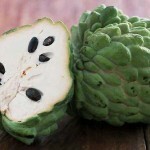 Pure juice of this fruit has powerful antioxidant properties and can cure a number of ailments. As an antioxidant, it helps avoid oxidative damage to the body tissues from ageing and repairs damage that the tissues have already suffered. The fruit juice can slow down the ageing process and counter the effect of age on the body. The juice also has good antibacterial and antifungal properties and helps fight infection in the human body. Want to know how a Star Fruit looks like? Here are some Star Fruit images that you may find useful. Take a look at these Star Fruit photos and know about the visual appearance of this fruit.